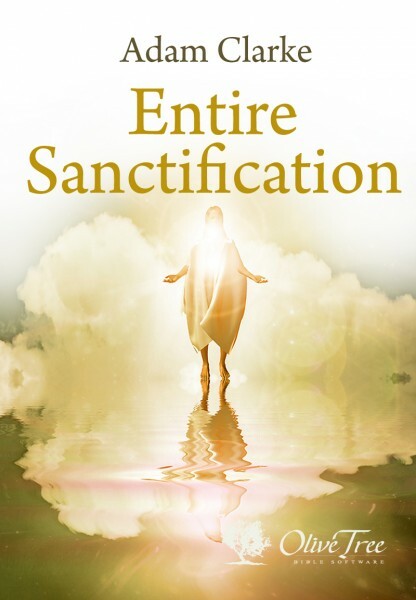 According to the author of this work, the word sanctify refers both to our dedication to God and His service and to our being made holy and pure by His inner work. In Entire Sanctification, Adam Clarke explains that what God has done for us through incarnation, crucifixion, and resurrection is with a view to what He intends to do in restoring us to the state of holiness from which we fell, and creating us anew in Christ Jesus. God's design is to restore mankind to His image, to a state of perfection in that love which loves the Lord our God with all our heart and our neighbor as ourselves. This is the holiness God desires for us all and the goal for which Christ died. Born in North Ireland in 1760, Adam Clarke was converted through hearing a Methodist preacher in 1779. A largely self-taught Wesleyan preacher for the next 50 years, Clarke mastered at least ten languages, served on 24 Methodist circuits in England and Ireland, held positions of leadership in the English and Irish Methodist Conferences, and promoted the newly founded British and Foreign Bible Society. He is best known for his Commentary and Critical Notes, finished in 1826, a work of research and writing that took over 30 years to complete. Said to be a preacher of rare power, Clarke was a pillar in a long line of holiness preachers. His complete writings fill 22 volumes. Adam Clarke died in 1832.